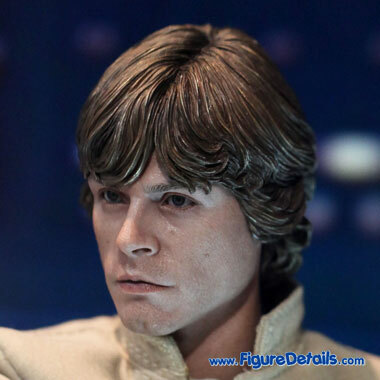 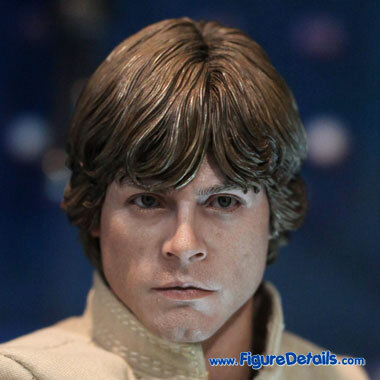 - Fully realized action figure likeness of Mark Hamill as Luke Skywalker. 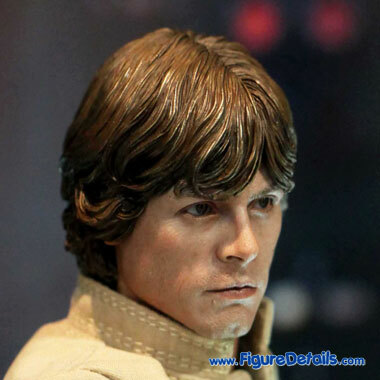 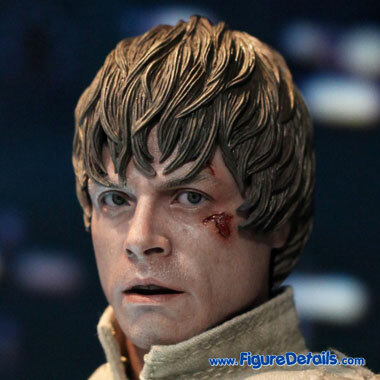 - Two different Luke Skywalker highly detailed head sculpt with Parallel Eyeball Rolling System (PERS). 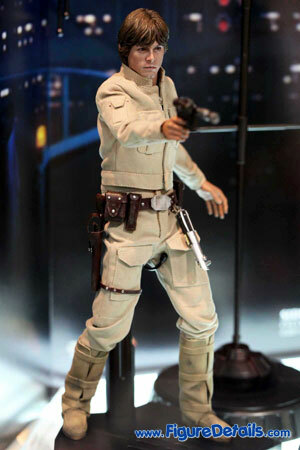 - Two set of movie-accurate costume with khaki jacket, eather-like brown belt with blaster pistol holster and pouches. 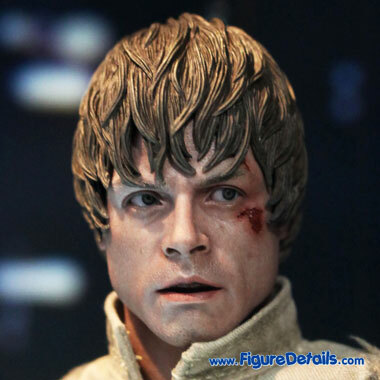 - Light-up Weathervane stand which can be mounted onto ceiling and allows 90 degree movement. 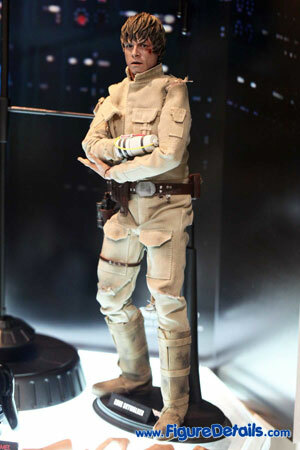 Here I show you the photos of Star Wars Luke Skywalker Bespin Outfit Action Figure that is now displaying in the Hot Toys store. 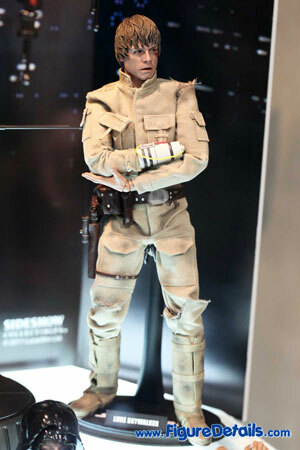 This is the first Star Wars action figure from Hot Toys. 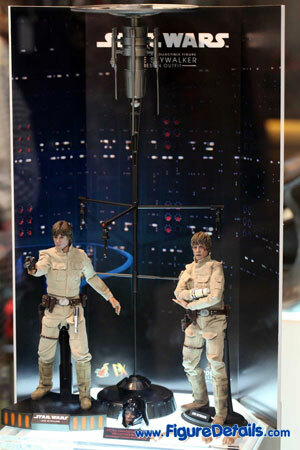 That's why it comes with 2 complete Luke Skywalker action figures. 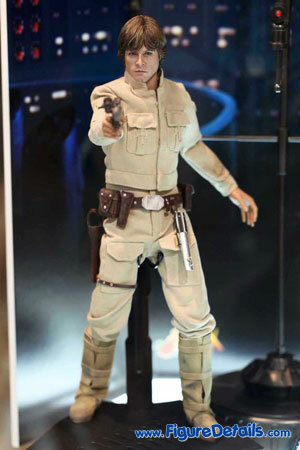 If I am not wrong, this is the first action figure comes with two head sculpt with Parallel Eyeball Rolling System (PERS). 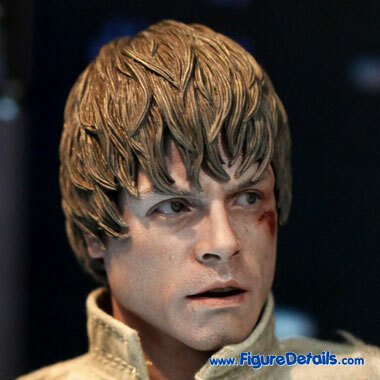 Excellent Luke Skywalker head sculpt, as you can see from photos. 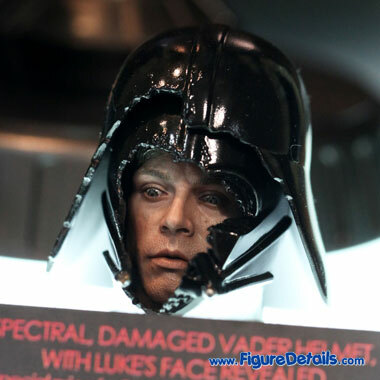 If you are lucky enough to buy an Exclusive Edition, you will get the addition gift - Darth Vader Head accessory.